These were taken on July 18 2015 at 6:10am. 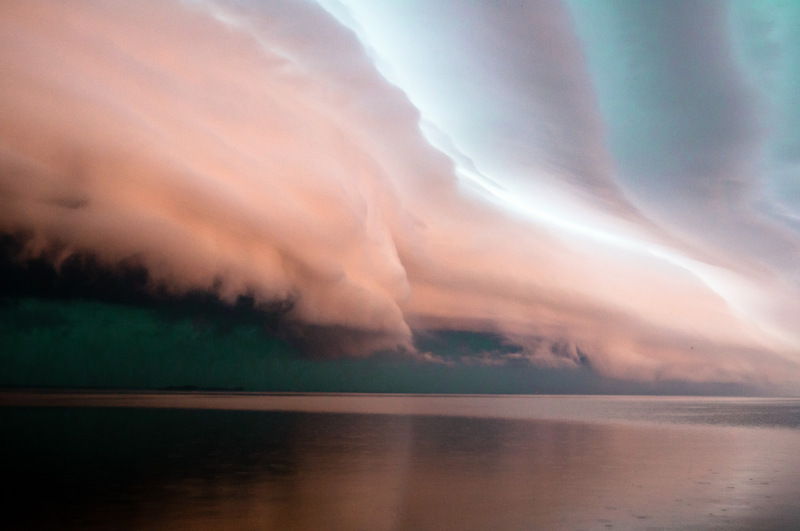 I was sitting in the house watching the weather and saw a storm was coming so I ran down to the shores of Green Bay (Wis.) to see what I could see. The sun was just coming up so a pink glow was showing up on the clouds. I sent three so you can choose one if you think they merit to be shown. I couldn’t decide.